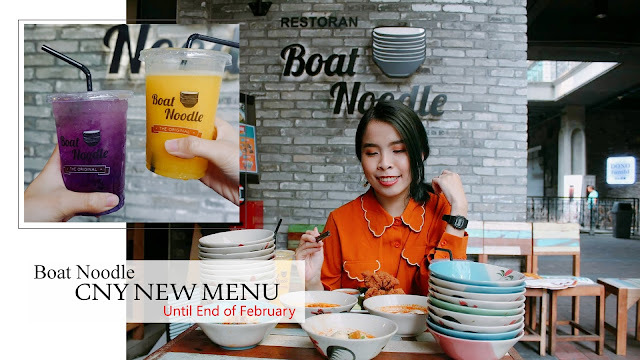 Boat Noodle Chinese New Year Menu - LIMITED TIME!! Been to my favorite Thai food restaurant, Boat Noodle recently to try out their Chinese New Year Menu. Their Chinese New Year Menu will be available until the end of February. I have been loving their new menu for the entire month. 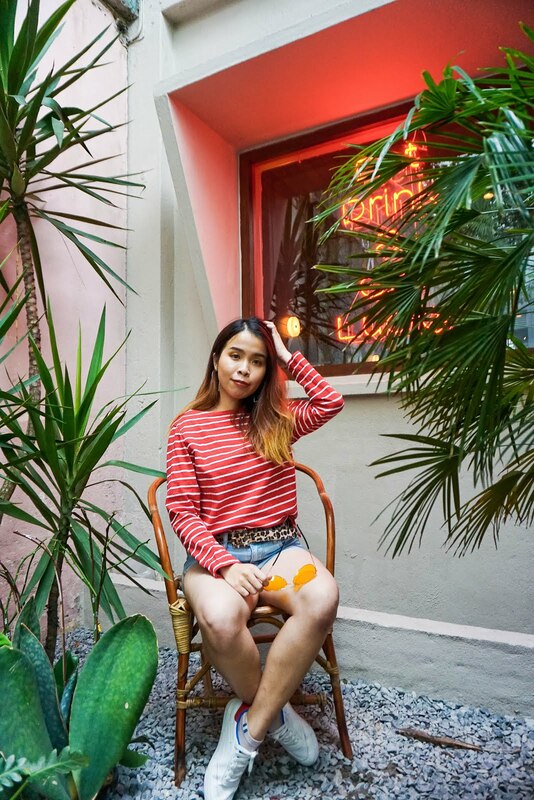 Read on to see what's their new menu about for this Chinese New Year! Whenever I dine in Boat Noodle, I love to add all these spices from Boat Noodle. 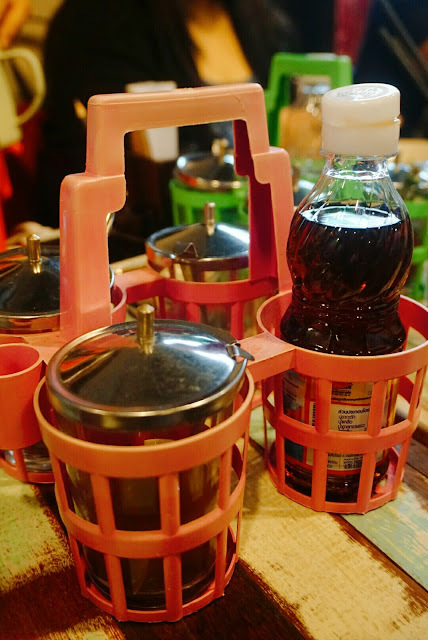 There's Thai Chili Sauce, one of my favorite sauce when I dine in Boat Noodle. Both are my favorite drinks! 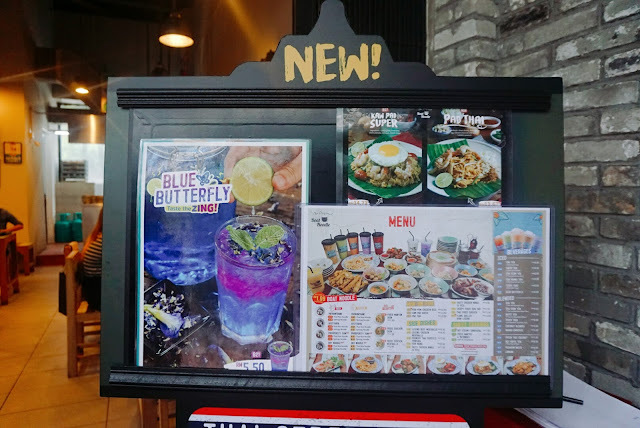 If you want to try some sweet and sour sensation, I would recommend to try out the Blue Butterfly. It comes with blue color drink add some sour juice the color of the drink change to purple color. I am really in love with the color of the drink. Whereas the Mango Smoothie is a refreshing mango drink, I love the smooth mango smoothie and refreshing taste after this Mango Smoothie. 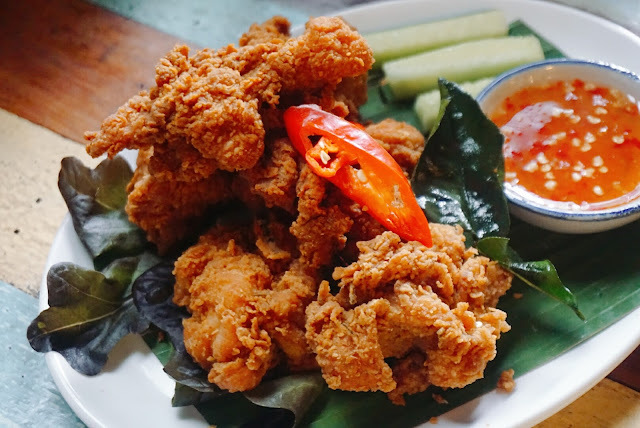 One plate of serving comes in 5 to 6 pieces of yummy Thai Fried Chicken. My favorite snack of all time! Fried chicken, with the new Thai flavor it actually spices up the overall taste. Their fried chicken is really crunchy and tender too. They didn't have a lot of bone but full of soft tender meat. 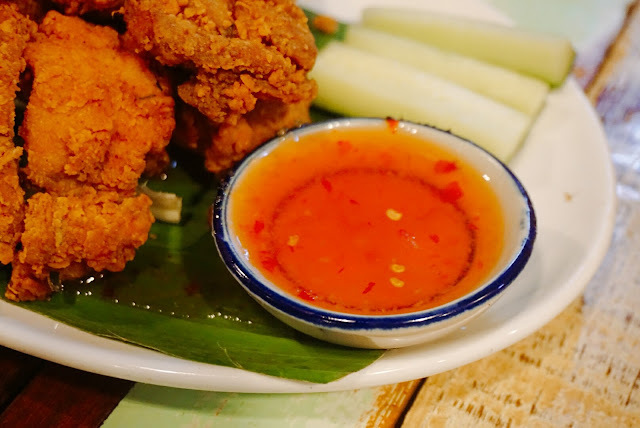 When you dip it with their special chili thai sauce, it gives more special addicting taste! 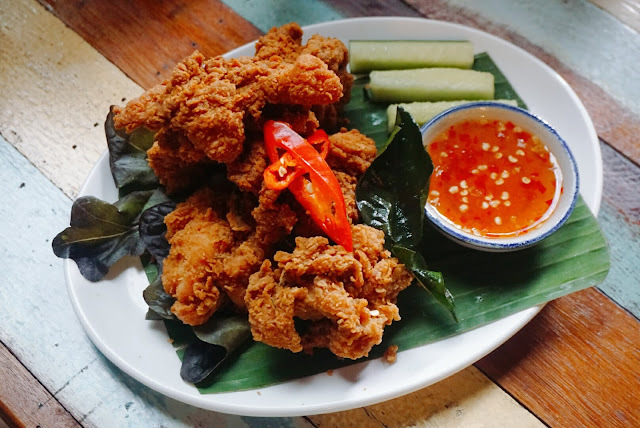 I think I could eat all of their Thai Fried Chicken. One of their famous Thai Rice Noodles served with chicken! The tom yum serving is so appetizing and I don't mind having this flavor for few bowls too. 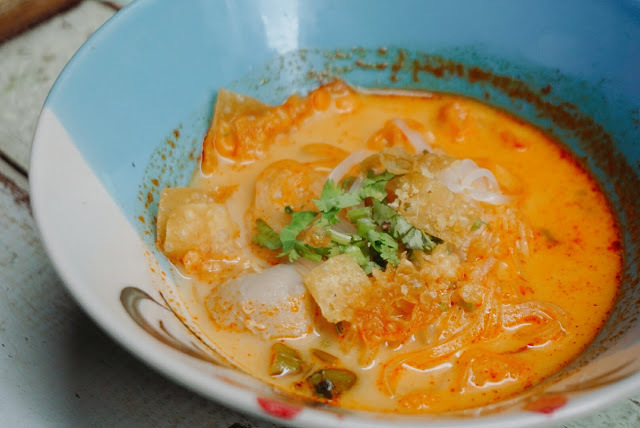 The soup is filled with the yummy creamy tom yum taste. With a small bowl of tom yum serving, the tom yum taste is so fulfilling already! 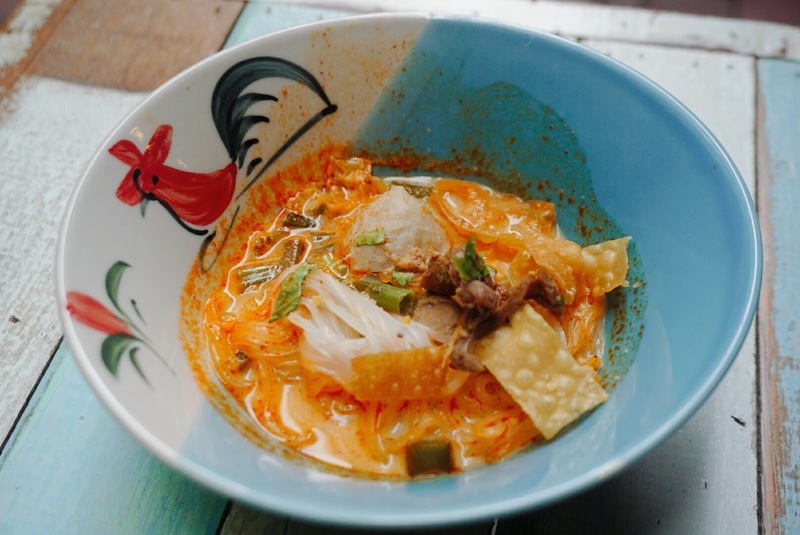 My favorite Thai Rice Noodle whenever I dine in Boat Noodle. Smooth and yummy to slurp in few bite. I always order their beef serving though because of my love for beef and meatballs! 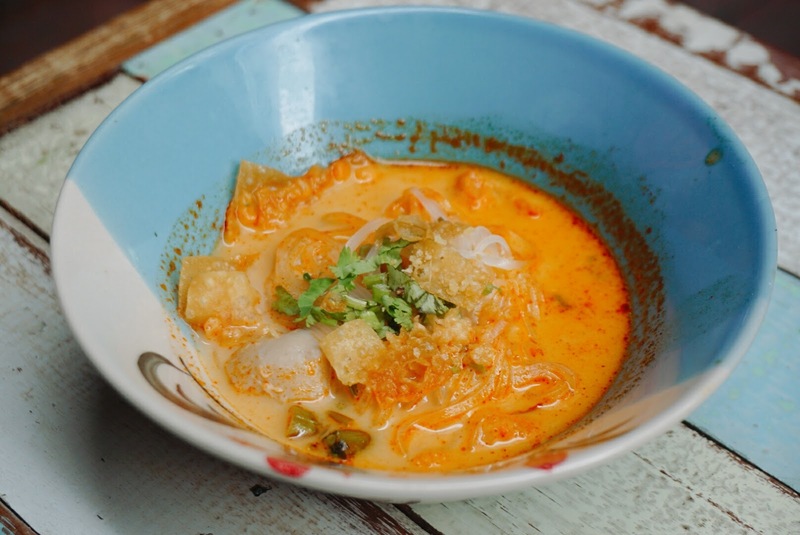 Try out some springy noodles with their tom yum soup to have some springy and addicting tom yum soup taste! It brings another level of experience at Boat Noodle. 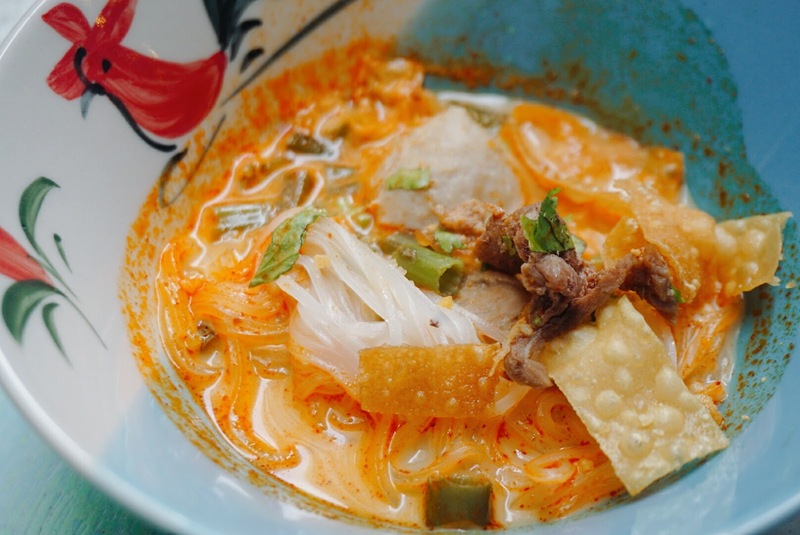 I wouldn't say that the tom yum serving will be really spicy, but it was definitely addicting enough. The springy noodles texture is really springy. I enjoy noodles which are springy and not too bland and soft. 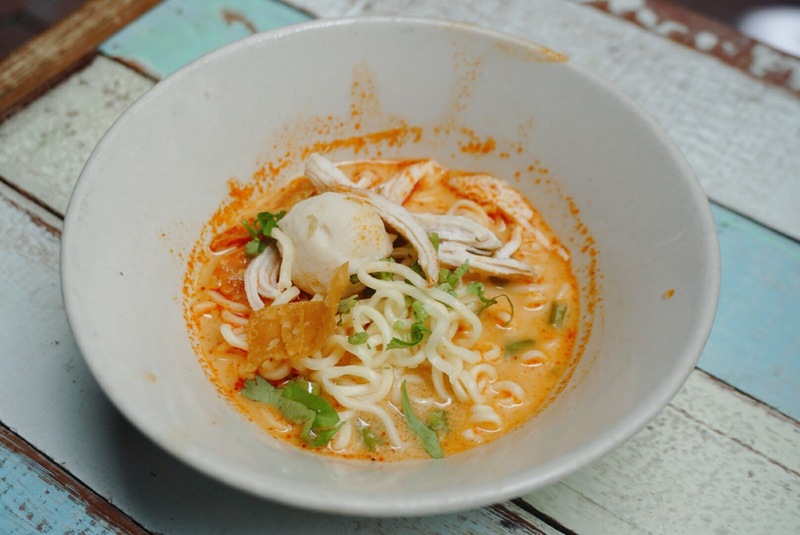 Be sure to eat up quickly the springy noodle to enjoy the maximum springy texture with the yummy tom yam soup! 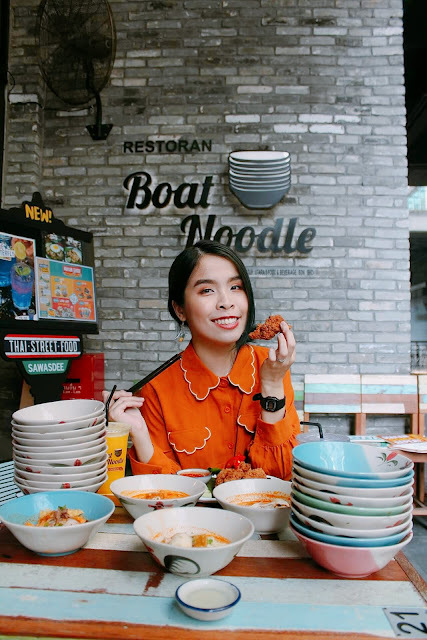 I would say that Boat Noodle CNY Menu is definitely up to my liking! I would definitely come back to dine in again. 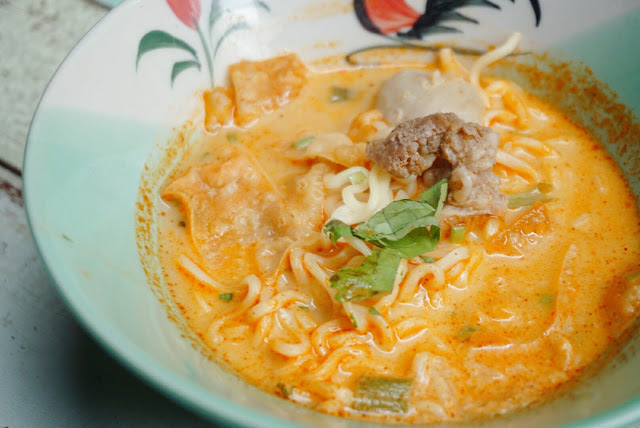 I miss their tom yum soup already, it was so addicting and creamy. 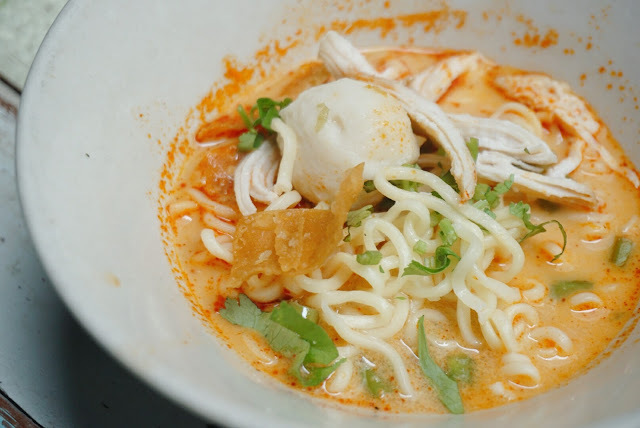 It gives the spicy and sour texture, perfect combo with both their noodle. 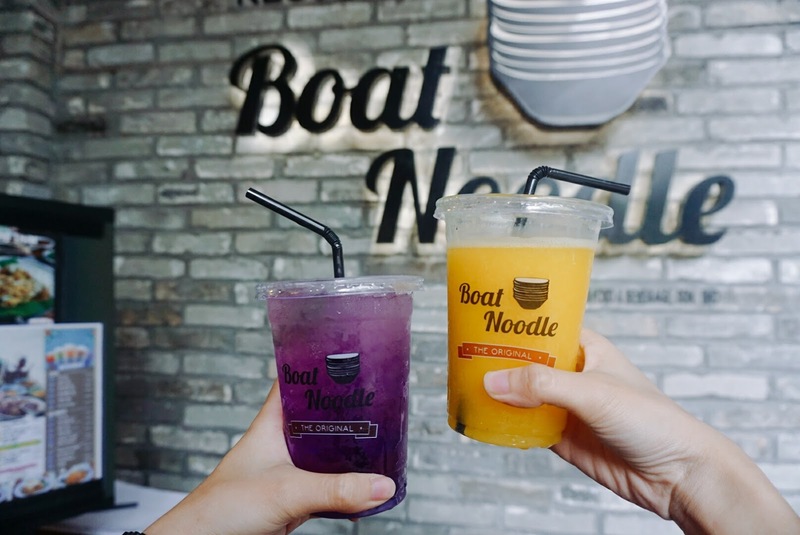 I would prefer to try it with their Thai rice noodles. 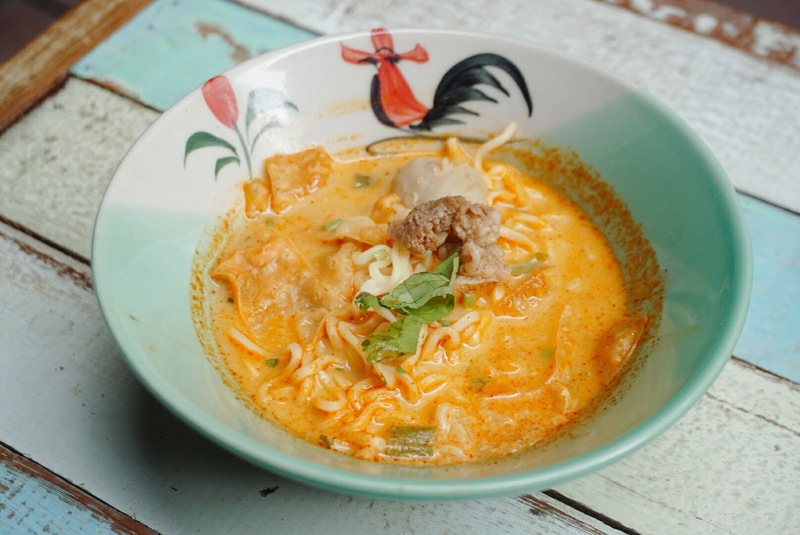 If you are up for a tom yum boat noodle, be sure to support and try out their Prosperity Yum in across Boat Noodle outlet. It was served for a limited time until the end of February. To me, Boat Noodle concept means being able to enjoy a wide variety of food on the menu and still have room for more! I am yearning to try this CNY menu and hope that I can be there before it is too late! looks nice to go dine. CNY soon yeah wanna tell friends of this place too! Remember to try their Thai Fried Chicken!